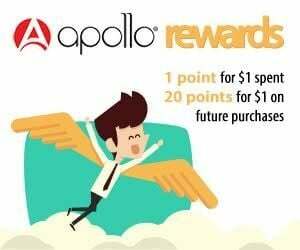 Apollo Tobacco Lover's Bulk Discount - cheaper e-liquids (5 Pack of 10ml bottles). the bottles were smaller than we thought they would be. But the flavors are good. I need to see if they have a bigger size pack because I do want them to last me longer next time. I use the smaller bottles because they are easier to work with than the bigger ones. It helps me also limit my nicotine intake because I don't vape as much since I do not have has much. It is easier on the pockets as well. Always get the 10ml bottles when I'm traveling. Nice addition and they work really good. Packaging is nice as well which I appreciate. I like getting the RY4 and the Triple Nickel. I like to mix them! I like getting the 10 ml pack because these bottles are easier for me to use. i like being able to carry them in one of my cases or in my pocket. They are smaller so they do not get in the way. The bulk pack lasts me a while. I like getting the classic tobacco flavor. I ended up liking the 10ml pack of the tobacco flavors. All of the flavors that I tried were really good. My favorite was the Triple Nickel and RY4. This was a nice and cheaper way to try all of the tobacco flavors so I could find my ADV. I think I am going to stick with RY4 and triple nickel. They taste really good when you mix them as well! Have tried several tobacco flavors, not sure the fruit flavors are for me. Triple Nickel is by far my favorite!